Back when I first released the Sathar Destroyer Technical manual, DriveThruRPG did not allow printed materials to have a pay-what-you-want price option. 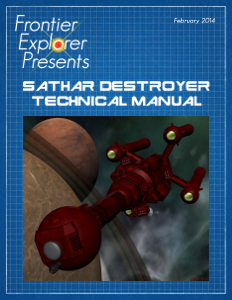 That is now possible and after the number of print orders for the Assault Scout Technical Manual, I decided to go back and make a print-on-demand version of the Sathar Destroyer Technical Manual as well. If you'd like a printed version, or if you haven't gotten a PDF copy yet, you can jump over the the product page on DriveThruRPG and order one.